I thought I'd begin Lunch Week with the meal that started the idea. With that, on to the spaetzle. 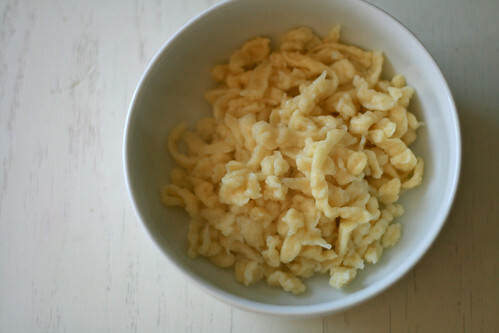 As I mentioned before, I have always loved spaetzle, as have my children. But the small boxes are pretty expensive so I was anxious to learn to make my own. 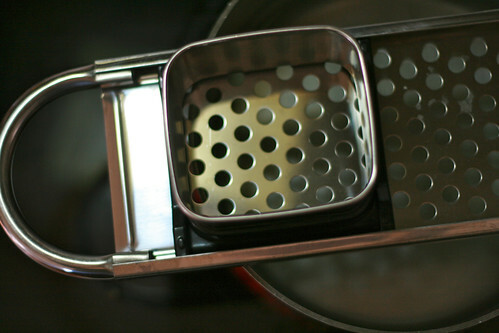 I finally got a spaetzle maker a while ago and I've been so happy with how easy it is. 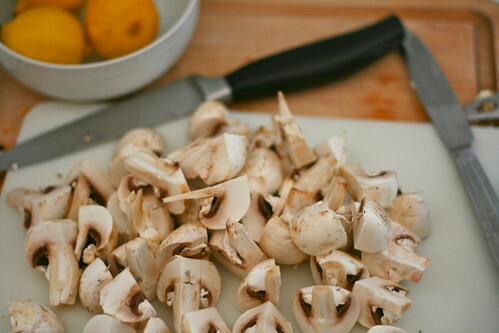 I like sauteed mushrooms with it, because it gives the hearty flavor that gravy would without being so heavy. I usually just quarter the mushrooms but of course slicing would work, too. Combine all ingredients using an electric mixer. Believe me that you don't want to hand-mix this. It will be a sticky, stretchy, very thick batter. 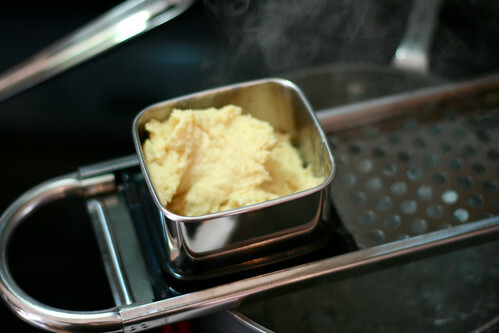 Let it stand at room temperature for 10-15 minutes before using. I usually put the water on to boil while waiting. 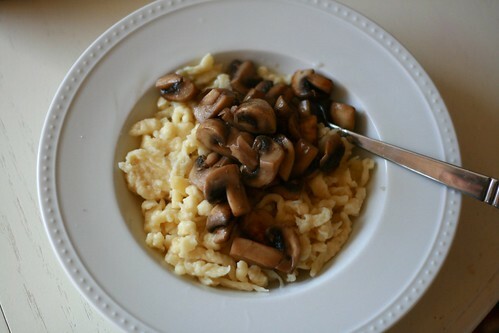 You can serve with butter if you desire, and the sauteed mushrooms (I saute them while boiling the spaetzle). You could also used roasted vegetables or sauteed greens in place of (or in addition to) the mushrooms. This is the only recipe this week that requires a piece of specialty kitchen equipment, but let me know if you try it sometime in the future! If you are joining me in Lunch Week, please leave a link to your lunch post(s) in the comments. I'd love to get fresh ideas for lunches, and I'm sure others would too. If you don't want to create a blog post, or don't have a blog, you can just leave your ideas in the comments! I thought about creating a linky for this, and may still do so later if there's interest, but I thought I'd start it off more casually to begin with. PS: Marching band season is over! Starting today, or yesterday to be more technical, I have my husband back!